Come in and take a seat! I love to have a nice chat! For this reason, I will talk to many different people and record our chats in this blog. I hope to chat with authors, book characters and readers and I will also share some thoughts and book reviews with you. Enjoy! You can feel it in the pages of this little tale that the author is a musician with every fibre of his being. While his idea of pulling Mozart out of his own time and planting him into today’s social media jungle might be considered trivial, his exploitation of this topic is brilliant. This is not about a person adapting to our modern inventions. This is about a musical genious who was an exceptional character in his own time, being an exceptional character in our time. 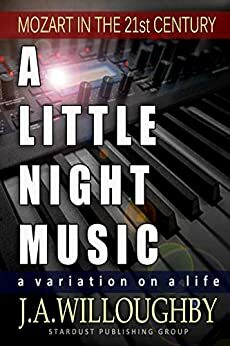 With the aid of a couple of highly devoted students, Mozart discovers not only modern living, he also discovers the musical styles and influences of centuries past and drinks them in, develops them, makes them his own and then takes off to create music no one has ever heard before. Willoughby’s descriptions of Mozarts musical performances are excellent and vivid and to someone familiar with both classical and modern music these descriptions are nearly audible. It’s also nice that the author has taken the time to give the reader some insight into his research for the book on the life of Mozart. All in all a highly recommendable read. All sorts of things pop up on social media and more often than not we are snared to read memes or watch videos without really thinking about it. This happened to me recently with a video about some fashion designer (sorry, forgot the name as this is way out of my range of interest) who apparently had a rough personal history and only found her calling late in life. What made me really angry about this video was the contrast between “I have cared for other people all my life and was hurt and rejected” and “Now I only care for myself and am successful and happy”. Sorry, folks, but that really made me sick. I understand perfectly that there are many women out there who get hurt and subdued and I truly believe it is necessary to care for oneself. But not for selfish reasons. There is nothing wrong with investing in family, friends and community. There is nothing wrong with investing, even if you get nothing back. But in my opinion, there is something seriously wrong with focusing on oneself with the sole aim of putting oneself ahead of others. Why? Because women aren’t made that way. It is ingrained in us to care and to support. That is our original task, given to us by our maker. (Look it up in the Bible, Genesis 1, 18-24.) We were made to help. Turning our back on this task is not going to make us happy. Revolving around ourselves is not going to make us happy. So why do so many memes that are meant to give value to women and to raise awareness for women’s needs often contradict our caring nature, calling women to put their first priority on themselves without following up with a life purpose? And we are agreed that we need a purpose in life, right? If there is no purpose to our existence, we feel totally and utterly useless and lost. I have found the solution in the command that Jesus referred to as the most important of all. There is an order to this. First, God loves you. Then you love God. When you understand that God loves you, no matter what, you will be able to love yourself. And when you love yourself, then you are capable of loving others. Many women have suffered violence and abuse, both physical and/or mental. I am no exception. And in my experience, the capability of caring for myself, accepting myself as a valuable human being, loving myself and not feeling worthless could never have happened if I had not understood that I am unconditionally loved by God. You could have told me a hundred times and more that I should take care of myself, should love myself and I could not have done it. I didn’t know how. But now I do (Thank you, God!) and it fills me. I am not responsible for loving myself and caring for myself. God does that. All I have to do is accept it. And then I can go and open my hands and my heart and let it pour out to others. There is not only purpose in that, there’s also fulfillment. Satisfaction. It doesn’t mean life is all pink fluffy unicorns. It doesn’t mean I don’t have a care in the world. It doesn’t mean I’ll never get hurt or disappointed again. It means I’m no longer lost and I know where to turn with my pain. It means the people around me benefit from my presence. It means I can make this world that little bit better. With your eyes locked onto yourself and your own needs, that’s not going to happen. And if women stop caring for the people around them, we have failed on an epic scale. This start into the series following criminal profiler Jessie Hunt is a gripping thriller with all the right twists and turns. 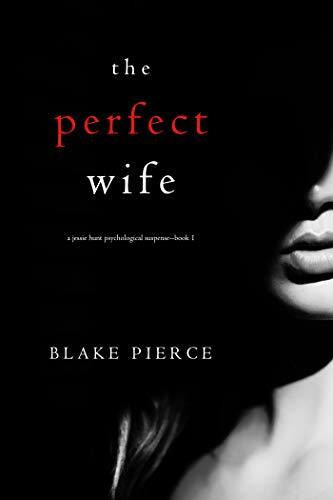 Pierce obviously knows his craft; the story runs smoothly, if a trifle predictable at times. Still, the characters are believable, the story starts innocent enough with a move into a wealthy neighborhood and the logical step to find social contacts in the local boat club. But then there’s Jessie. Loaded with a terrible past, she feels insecure in her new surroundings and is kept on her toes by the strange machinations going on around her. On top of that her training as criminal profiler opens up doors that are usually closed and she wonders more than once if she is paranoid. I can’t give much more away without serious spoils, so let it suffice to say the book had me turning the pages, despite the fact that my intelligent guesses led me in the right direction. Perhaps I should start a new career as profiler? No, I’ll stick to writing, which I’m more than happy with. If you enjoy a good thriller and don’t mind a serial killer or two involved, I recommend this book. I’m currently on book 2 of the series, the perfect block, which starts out pretty good, too. Can’t do anything wrong with these! Can you believe that 2019 has already shed one month? I remember that time had no relevance for me as a child. If ever I noticed its passing, it was because it had a tendency to drag out like chewing gum. Never did I wonder how come another week already passed. Talking to my children about this lately, their experience is totally different. They perceive the fast passing of time and even comment on it. It makes me wonder, if time has really sped up over the past 40 years. In my Bible studies I’ve been reading the prophets Isaiah and Jeremiah lately, as well as giving Revelations another run-through for research reasons (I’m basing my current WIP on it, what a challenge!). Looking at the strange developments throughout the world, I do wonder if everything is drawing to a close, like water going down a drain that speeds up and creates a twirl before disappearing altogether. Especially when watching the news, taking in wars, migrants drowning in the Mediterranean while Europe turns a blind eye, natural disasters, global warming and all those other disquieting issues, I catch myself thinking ‘It’s enough. Please, Jesus, come back soon. Put a stop to this craziness. I want peace, your peace.’ How blessed I am to have this hope accompanying me through every day. A busy month January was for me. Apart from a long list of doctor’s appointments with various family members and some not so nice experiences along the way (I never thought I’d ever get kicked out of a dentist’s office for not agreeing to the recommended treatment! ), I have started a new translation project, worked on book 5 of my German Christian children’s adventure series, made slow progress with the translation of my Way of Life series into German, contacted a professional cover designer to create some stunning covers for the series and helped some fellow Indies with proofreading. Two of my German books are published now and collecting positive feedback, while my publisher has secured our cooperation all the way through 2020. It feels so right, this decision to go freelance. I’m deeply grateful to be able to do what I love and touch people’s lives in a positive manner along the way. My personal little light that I may hold up to fight the darkness in this world. Due to various projects I’m working on at the moment, I will not be able to keep up the regularity of my blog posts the way you, my dear followers, are used to. I’m very happy that both my translating and my writing business are taking up so much of my time at the moment, that reading – and with that also reviewing – and writing posts for this blog need to step down on the priority ladder. I had made nice plans for chats with authors this year, and hopefully will realize them at some later point in time, but right now the focus is on getting book 5 in my German Jabando series written – which the publisher moved up a spot to make it book 4, because book 4 is a Christmas story and cannot be published in January. So the first time in my writing career, I’m working with a deadline. In addition to translating books for other authors, I am also translating my own English books into German, hoping to publish them eventually. This also means I’m currently not continuing work on ‘The Silent Maid’, as the day only has 24 hours and there is a family, home and horse here to take care of as well. So I hope you bear with me and enjoy the little pieces I’ll be able to share as time allows. I now have a much clearer understanding of what Fairytales for Grownups are. Phew, steamy! But also incredibly rich in imagination. While reading this collection of short stories, I felt like seeing a slide show of a much larger universe, glimpses of a realm I knew nothing about beforehand. The descriptions made me feel as if I should have known about these things because they were referred to with the ease of familiarity. So you don’t know about Dragonheart? That’s YOUR problem. You had no idea dragons could appear as human beings? Oh, well, poor you. You thought you knew something about dragons and their laws and how they live? Think again. I will now go and rifle through this author’s publications to see if there be more dragons. 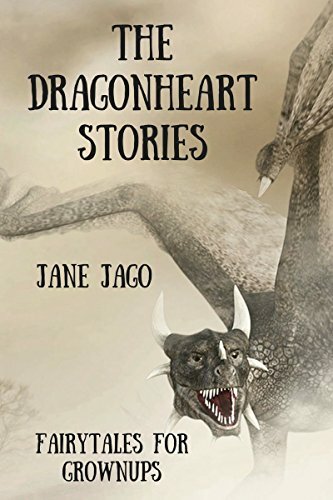 I encountered Jane Jago on Facebook, enjoying her poetry immensely because it is witty, linguically perfect and often dotted with a humorous sarcasm I really enjoy. If you aren’t following her on FB yet, I highly recommend doing so! What a unique story! 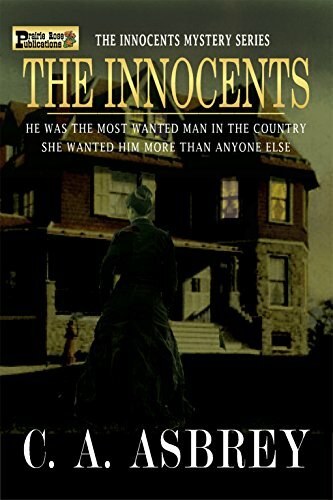 In this historical mystery, a lady detective employed by the famous Pinkerton Detective Agency sets out to catch the notorious ‘Innocents’, a gang of robbers who operate under a strict code of honor. Unfortunately, the Scottish native lady is caught by another gang of robbers and nearly killed. Her rescue comes at the hands of the Innocents, creating a rather awkward situation. The characters in this story are wonderful, well thought out and multi-layered. As the reader gets to know them, more and more pieces are added to the mystery, keeping the reader guessing until the very end. There’s suspense, there’s humor, there’s a bit of romance, hardly any violence and a healthy dose of prejudice of the times with regard to the capabilities of women. In my opinion, the plot is almost shadowed by the brilliance of the colorful characters and the emotional depth with which the protagonists are portrayed. Highly enjoyable!